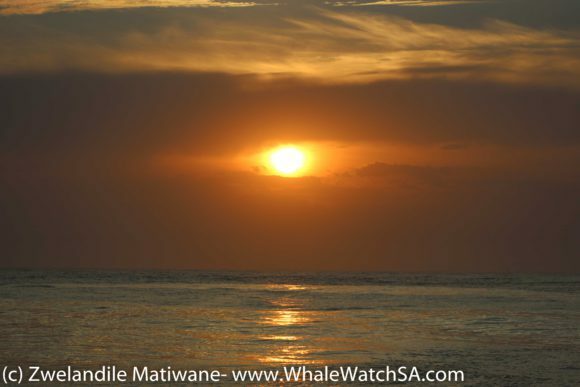 With today’s perfect conditions, it’s hard to believe that we’re going to be off the sea for the next couple of days! 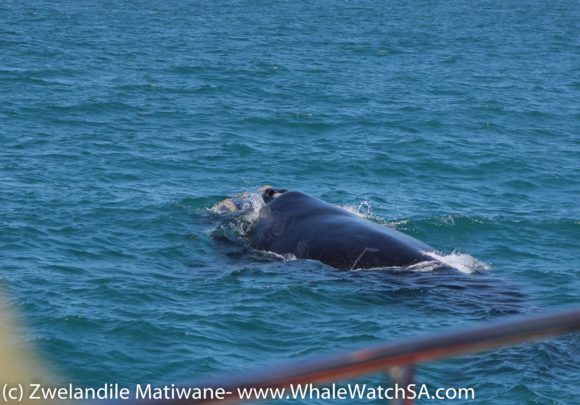 We had 3 amazing trips out on the water spotting 4 of the Marine big 5 on the first, all 5 on the second and 4 on the 3rd trip again. 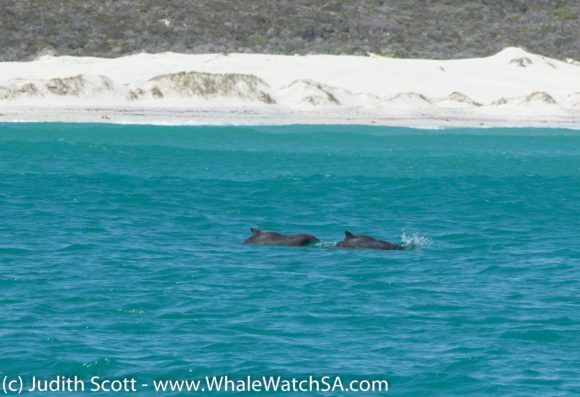 The light easterly wind that we’ve had blowing has made for a stunning turquoise sea and some really flat conditions. 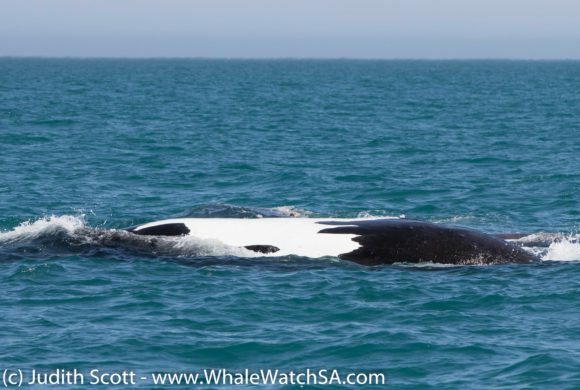 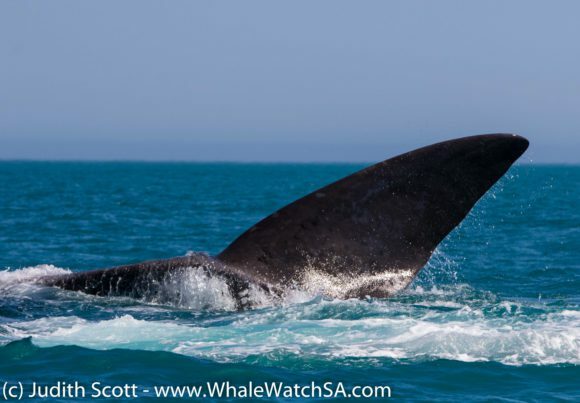 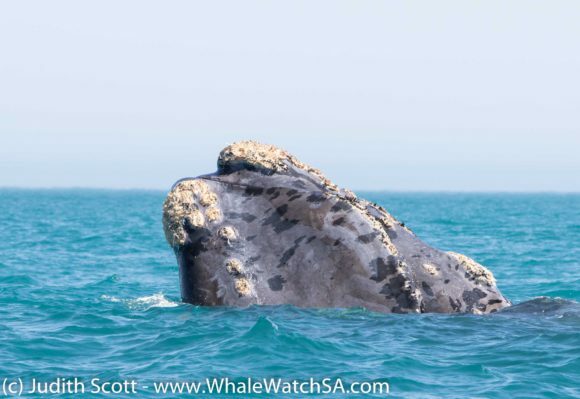 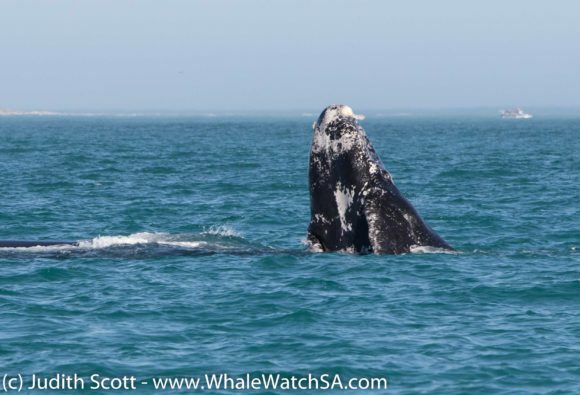 The first trip of the day started off on a high note with 2 Southern Right Whales just 10 minutes out of the harbour. 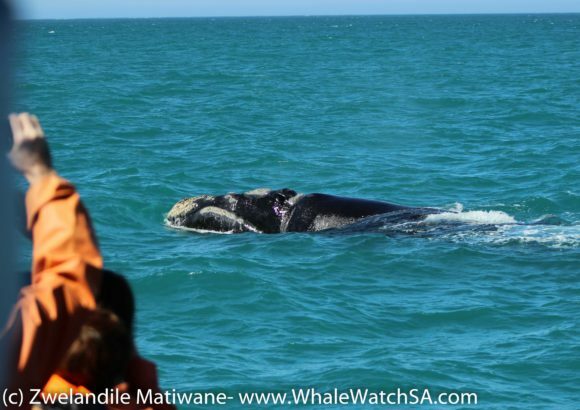 We got to see some typical mating behaviour between what we believed to be a brindle male animal and a large female, which is never not an awesome sight. 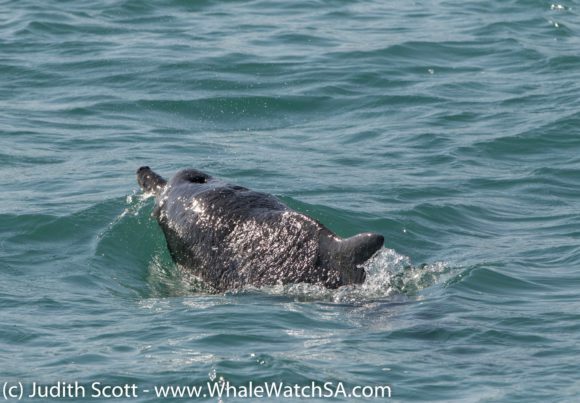 We spotted a Sunfish or Mola Mola directly after this and watched this strange looking creature move about under the surface of the water. 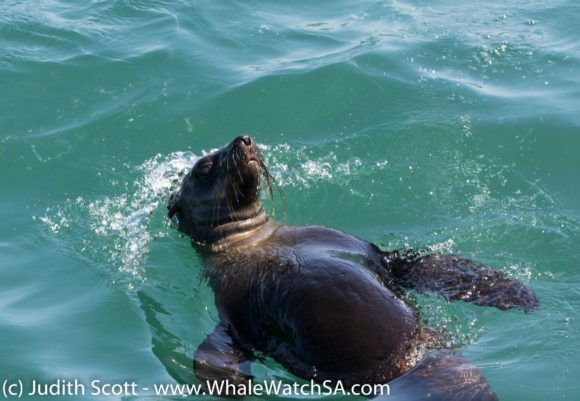 The presence of some Box Jellyfish in the vicinity made it clear this this large fellow was out to grab a bite or two to eat. 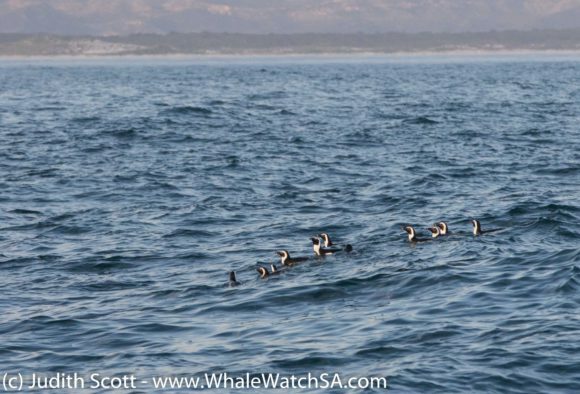 As if we didn’t already have our fair share of species around, our beautiful Cape Cormorants where out in their numbers today, with thousands of these little black birds taking to the water. 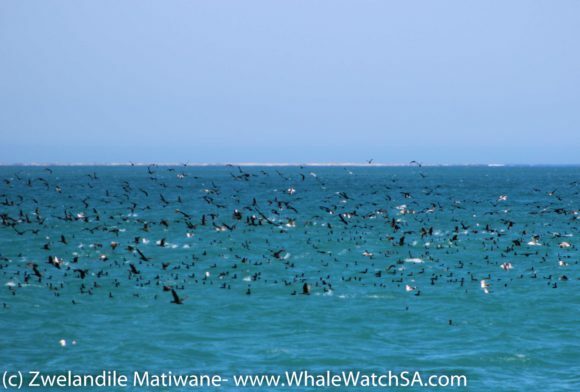 This is one of the greatest spectacles of the area, with the flocks stretching as far as the eye can see. 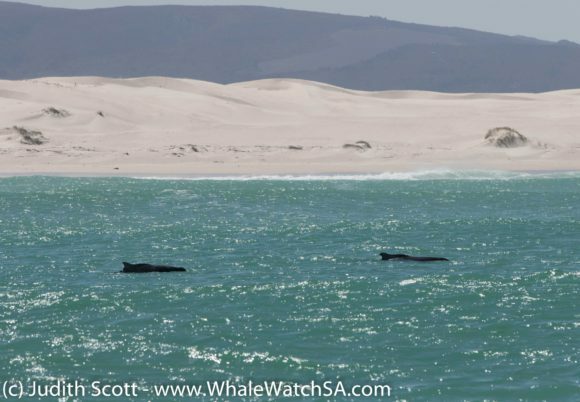 We found our Humpback Dolphins next and watched them play in front of the sandy, white beaches of Die Grys before heading towards Dyer Island. 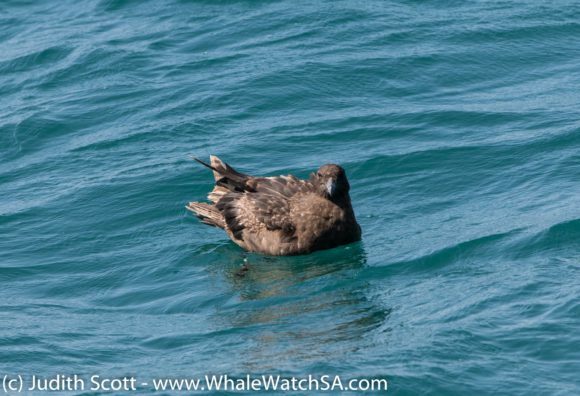 We found an African Penguin of two on land and a raft of these little guys in the water before taking our final stop at the Cape Fur Seals of Geyser Rock. 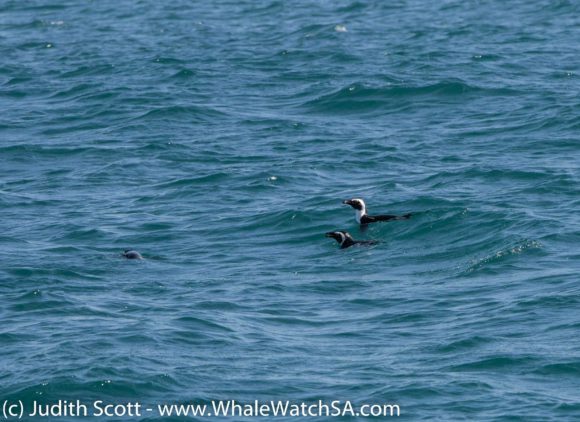 On trip 2, our first sighting was of a mother and calf pair of Southern Rights quite soon after launching. 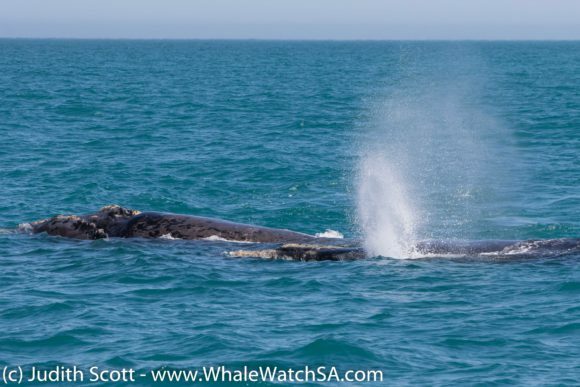 We then caught up with the Brindle and Black Pair a little closer to the shallow and spent a bit more time with these majestic adults. 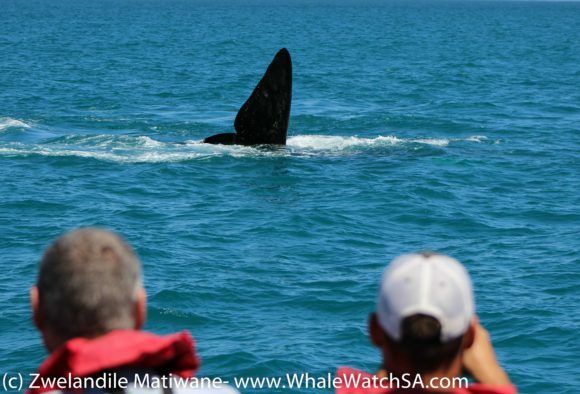 After watching them for some time, we had an exceptionally close approach, with the whales moving right past us as they made their way onwards through the bay. 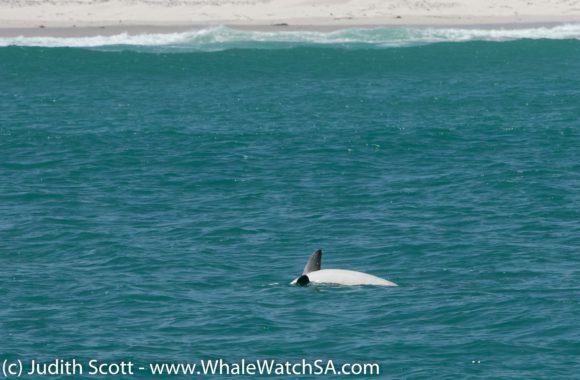 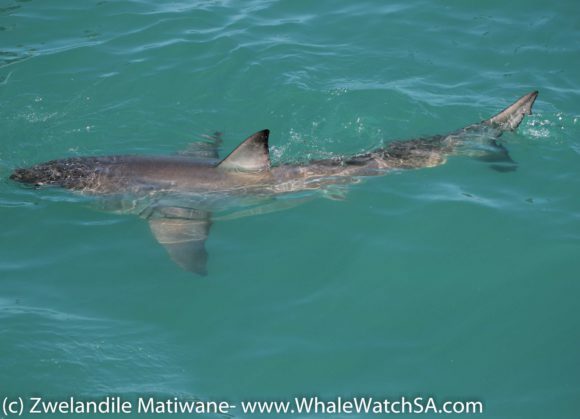 We went on to see the Humpback Dolphins in the shallows, a Bronze Whaler at Slashfin before trying to complete the Marine Big 5 by the islands. 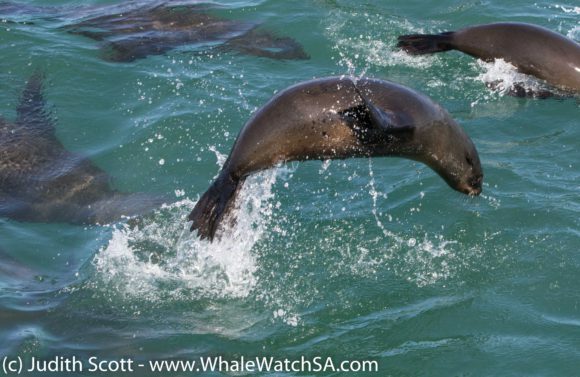 We found a raft of Penguins and ticked off the last of the list, the Cape Fur Seals by Geyser Rock. 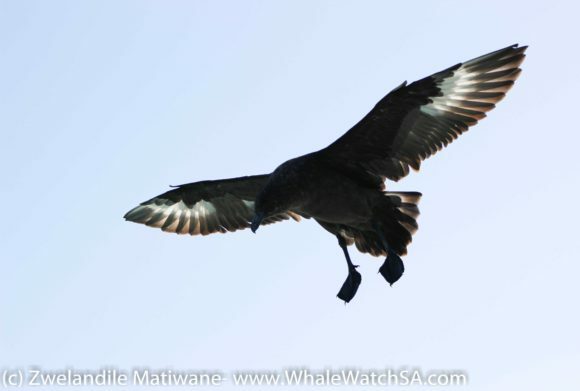 Throughout our trip, we were also graced with the sight of the Cape Cormorants, who were still out and about. 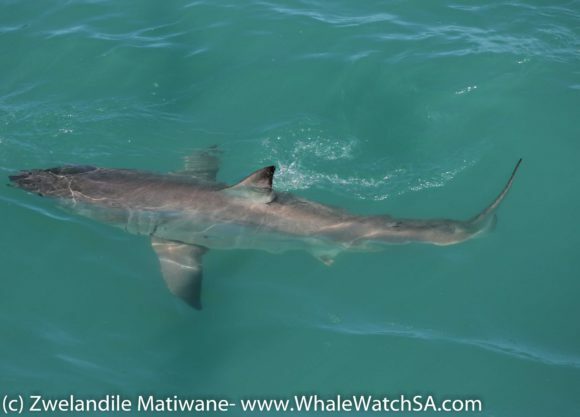 The last trip of the day got to see all but a shark, though their Southern Right Whale sighting more than made up for that. 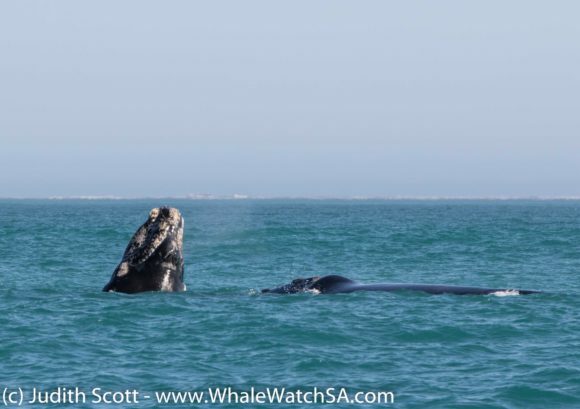 After stopping briefly at a mother with a smaller calf, we spotted a couple more whales closer to shore and chose to head over to that pair. 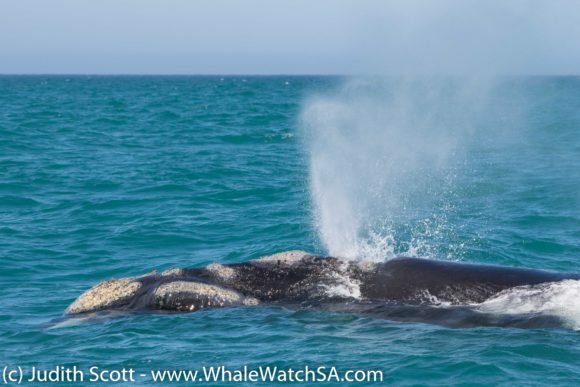 Here, we hit the jackpot when a larger calf started to breach right next to its relaxed mom. 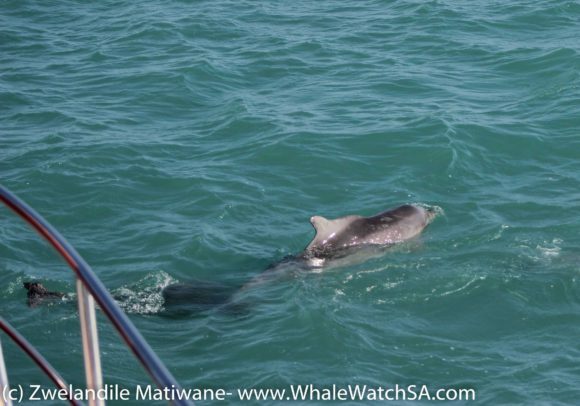 We watched in absolute awe as this gorgeous little dude kept diving, exposing his little tail, and bursting back out the water.